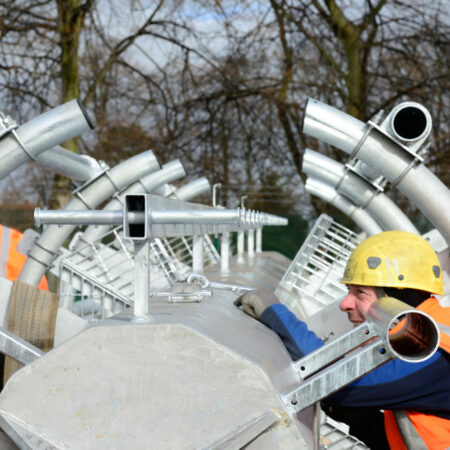 We manufacture many of the monopoles that are the backbone of the UK’s mobile phone network. 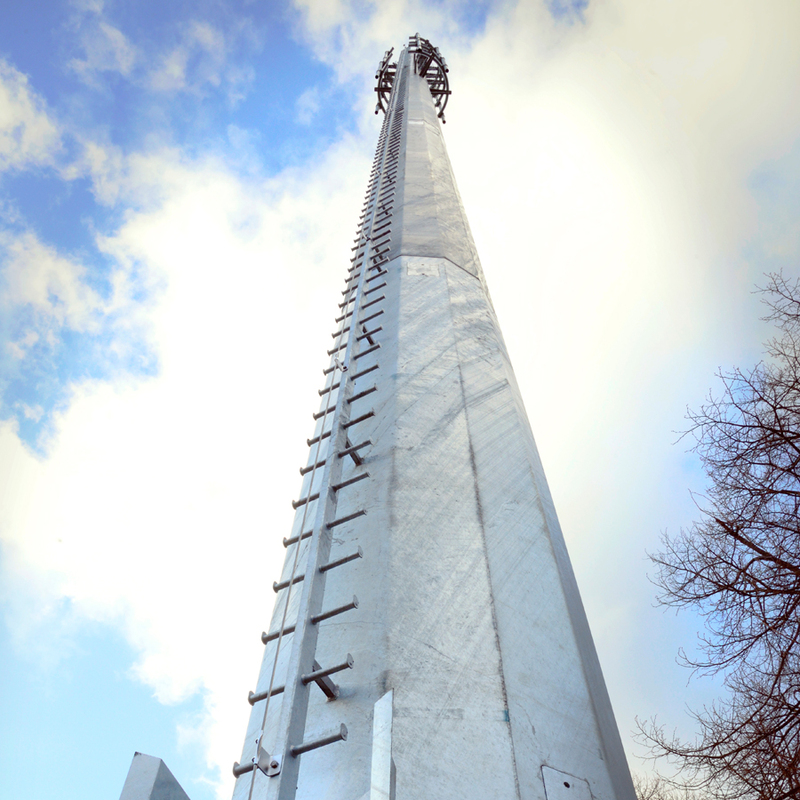 They typically have climbing ladders with standing platforms at the antenna level. These are fitted with safety systems such as fall arrest and also non slip ladder rungs. A safety gate at the bottom prevents unauthorised access to the climbing ladder. These poles can be up to as much as 30m tall whilst maintaining rigidity to ensure serviceability of the antennas to the mobile operator’s exacting standards. 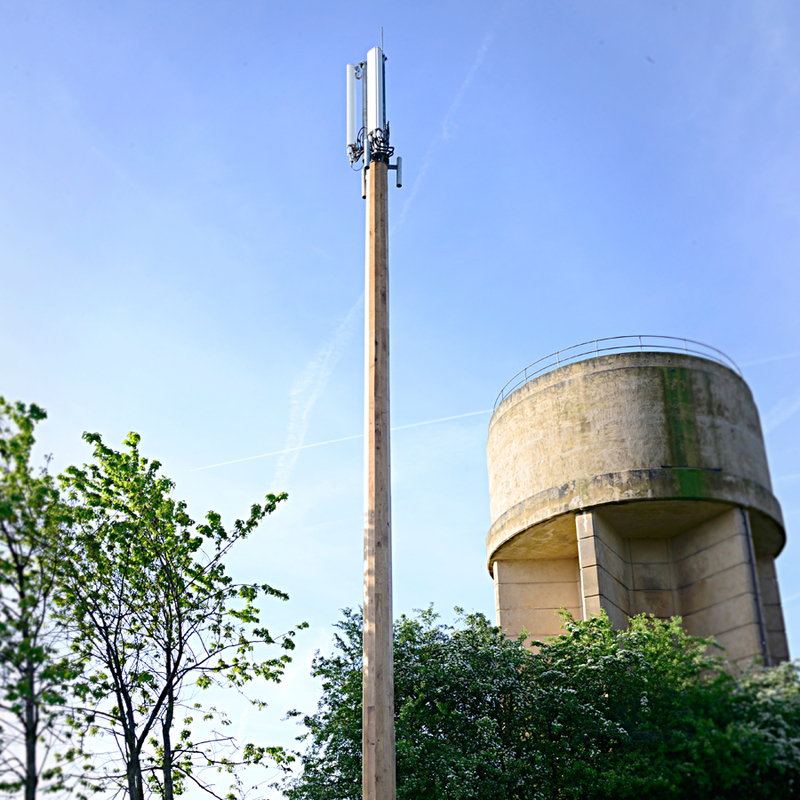 To ensure minimal impact on the surroundings and make sure the masts don’t become an imposing eyesore on the landscape many of the telecoms towers we make are cleverly disguised as trees, ships masts or other timber structures, they can also take on dual-use and function as flag poles etc. to help them blend in with their surroundings. 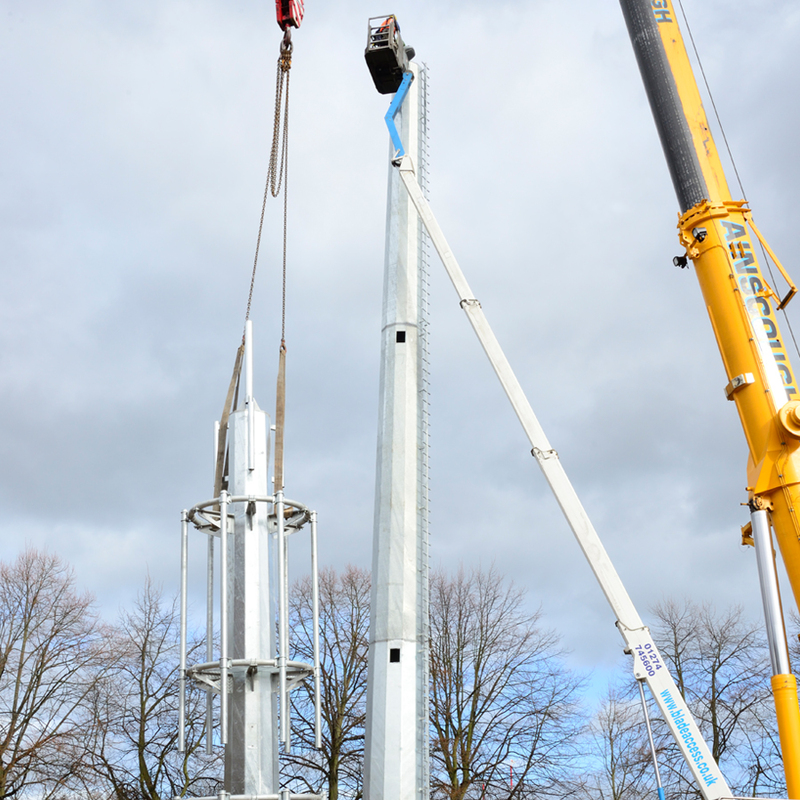 We also manufacture many of the CCTV masts found in towns and city’s throughout the UK. The rigidity of these poles is also a major factor for optimal video quality. Our in house software can optimise a CCTV poles deflection to ensure smooth video feed even in high winds. Rigid and minimal deflection at high wind speeds. Safe access and climbing support to antenna positions. Various materials and coatings to help disguise pole within its surroundings. Large base compartments and door apertures to house CCTV equipment within the column. 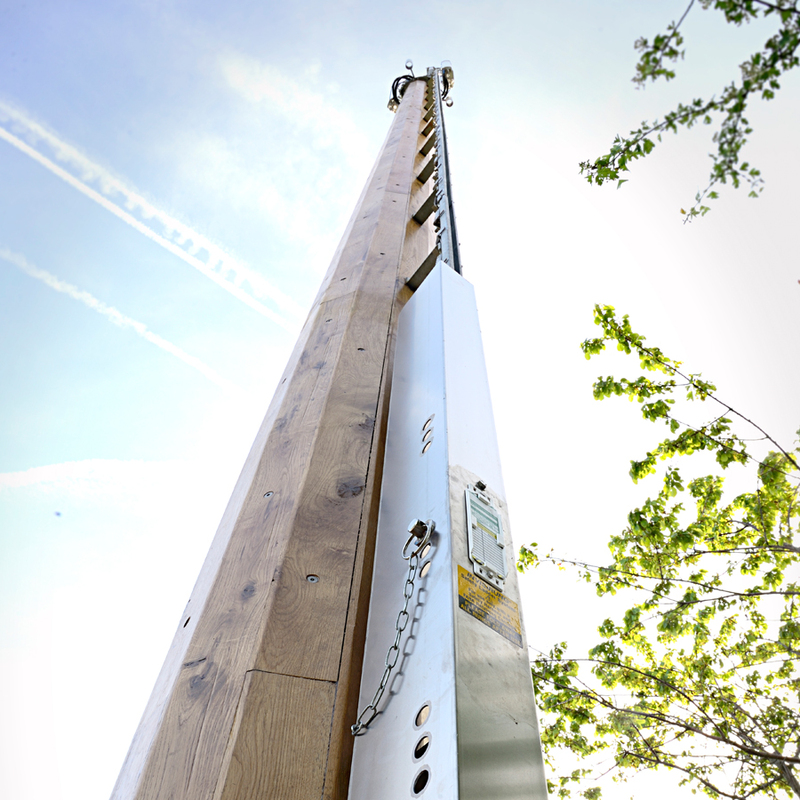 Anti-climb systems prevent unauthorised access and climbing. Multi-purpose columns designed to carry lighting / WiFi / CCTV and other additional loading.